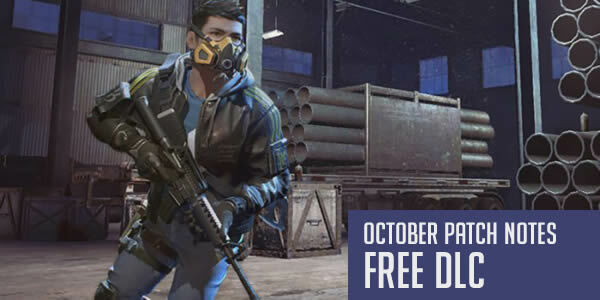 New DLC: Gratitude of Dione is available for FREE purchase on Ring of Elysium’s Steam Store page. 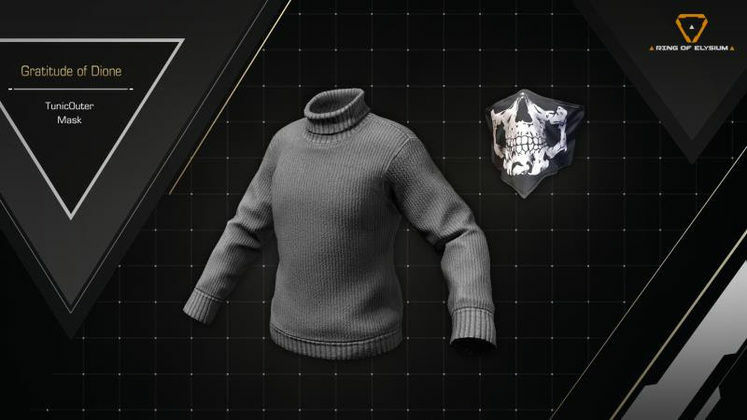 Added “Daily Crates” for players to purchase with a one per day limit, the price is 1500 credits. The lobby now remembers your last played perspective choice (TPP or FPP). Reporters will now get an in-game notice when the reported player has been banned. Changed in-game notification wording from “Hints:” and “Tips:” to “Alert:”. Challenge “Travel at least 5000m in a single game” now also counts snowboard, glider and vehicle travel distances. Enhanced the visibility of airdrop supplies by increasing the height and duration of the smoke. Auto-Running will no longer be interrupted by strafing. Vehicle drivers can now use healing items when staying still. The maximum speed of Gondola has been increased slightly. Increased throwables’ throwing angle limit. HUD representation of knocking down opponents is now more obvious. Vehicle chassis collision and physics has been optimized, vehicles are now less likely to get stuck by obstacles. Improved the sound effect for successfully finding a match. Reduced the volume of glass shattering. Made overall improvements to environmental sounds. Improved the sound effect for footsteps. Added the True Fullscreen mode. Added toggle options for walking. Increased the FPP Field of View limit to from 65 to 70. Improved character movement for knocked down players on slopes. Improved the vaulting interaction with certain roofs and windows. Optimized animation LOD to fix visual lag when observing moving vehicles at a far distance. Fixed a bug where flames from hot air balloons do not disappear. Fixed several bugs that obstructed character movement by objects such as rocks. Fixed a bug where certain loot cannot be picked up.